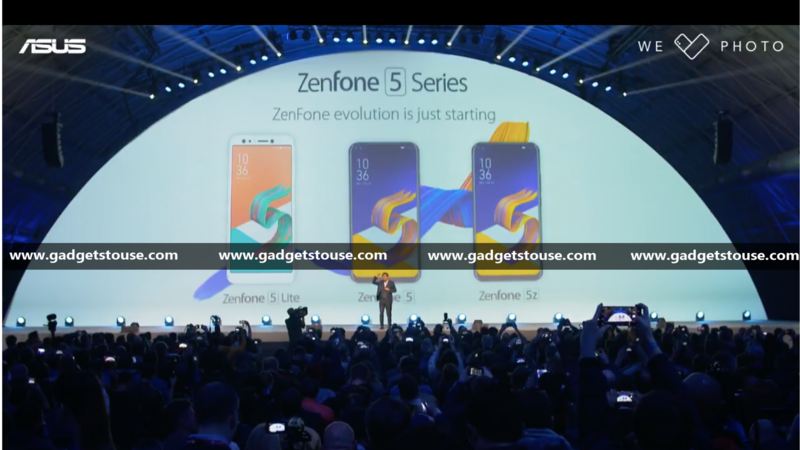 #GTUMWC2018: Asus released the Asus Zenfone 5 at the #MWC2018 with two other smartphones Zenfone 5Z and Zenfone 5 Lite. The Zenfone 5 is a midrange smartphone and it comes with a decent hardware and dual camera setup. The smartphone comes with a whole new design and a lot of new features. The smartphone is available in two colors -Meteor Silver and Midnight Blue and it will hit the shelf in April 2018. Asus Zenfone 5 comes with a 6.2 inches Super IPS+ display with FHD+ (2246 x 1080 pixels) resolution and 90 percent screen to body ratio. The display is protected byCorning Gorilla Glass and it comes with a notch on the top side of the display. The notch includes some useful sensors and the front-facing camera with Face unlock feature. The back of the smartphone has the Asus’ signature pattern with glass panel. The dual camera setup is vertically aligned with the LED flash and the fingerprint sensor is also located at the back. The bottom edge has the USB Type-C port with a loudspeaker and the 3.5mm audio jack. 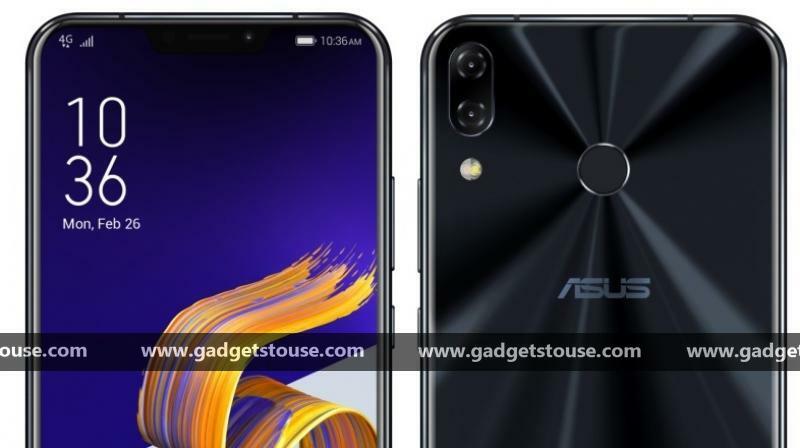 Overall, the design of the smartphone is a lot different from what we saw on previous Zenfone smartphones, although it looks like the iPhone X. Asus has said that the notch on the Asus Zenfone 5 is 26% smaller. The smartphone is made up of glass and there is a fingerprint sensor at the back of the smartphone with the dual camera setup. 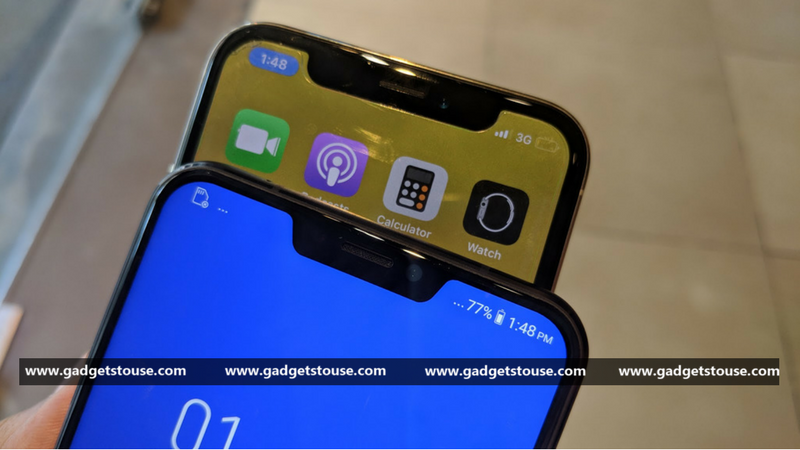 Asus has also customized the notch according to the software and notifications. Overall the Asus Zenfone 5 will be a great deal when buying a mid-range smartphone in India. 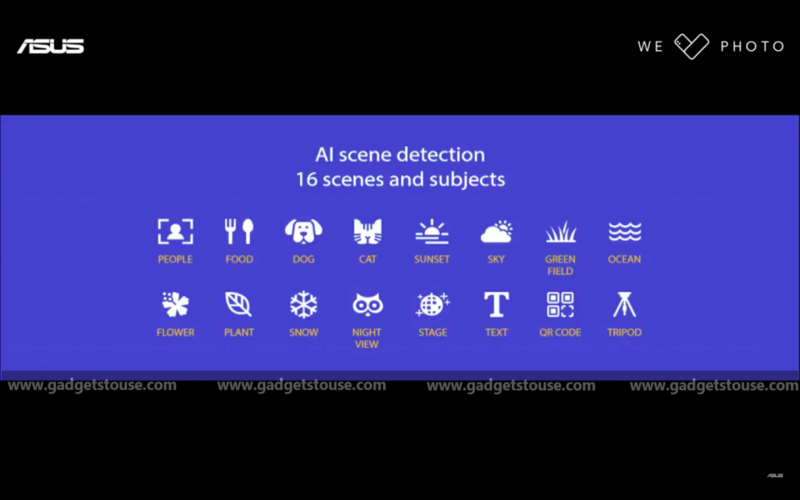 Asus has implemented artificial intelligence in almost every part of the smartphone software. The smartphone has AI in the camera, the charging, AI ringtone and more. Even though it is a marketing gimmick, but at least Asus tried to do something new in the smartphone tech and it will bring the Zenfone 5 one step closer to the consideration over other smartphones. 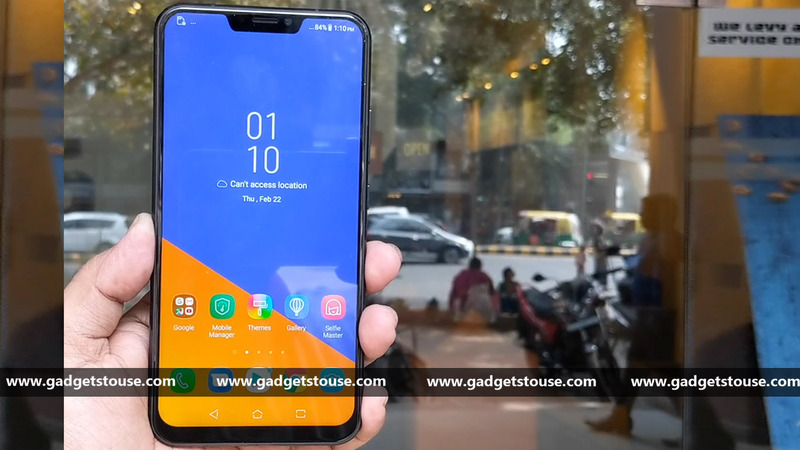 Question: How is the display of the Asus Zenfone 5? Answer: The device comes with a 6.2 inch Super IPS LCD panel with 19:9 aspect ratio. The display covers almost 90 percent of the front panel of the phone and it comes with an iPhone X like notch which includes all the necessary sensors and the front camera. 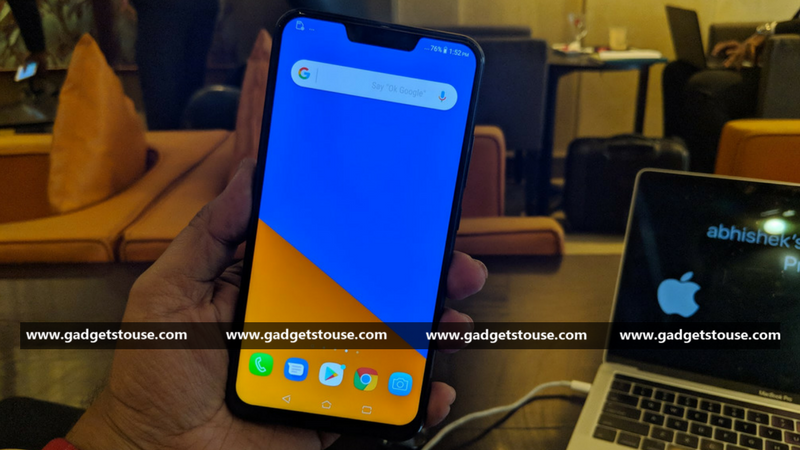 Question: What is the processor and RAM in Asus Zenfone 5? Answer: The Asus Zenfone 5 is powered by a Qualcomm Snapdragon 636 processor and up to 6GB RAM. It comes with AI Boost which when toggled, provides the best performance for gaming and other CPU intense jobs. Question: What is the battery capacity on the Asus Zenfone 5? Answer: The Asus Zenfone 5 sports a 3,300mAh battery which features fast charging and smart charging via USB Type-C port. Question: What OS does Asus Zenfone 5 runs on? Answer: Asus Zenfone 5 runs on Android 8.0 Oreo with ZenUI 5 skinned on top. 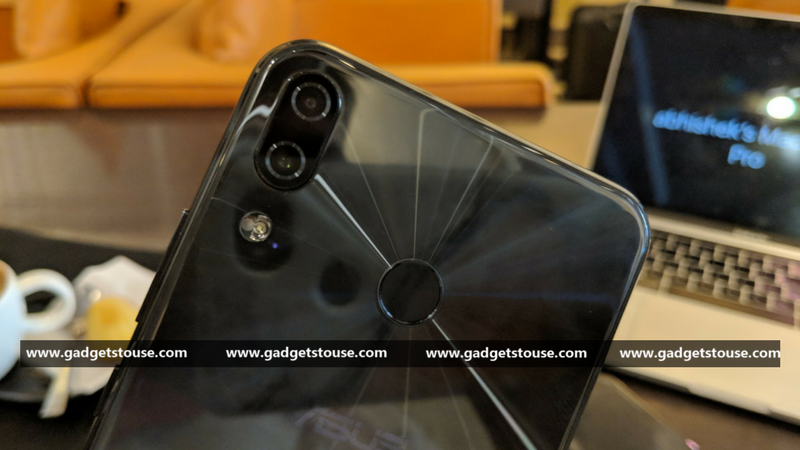 Question: What is the availability of the Asus Zenfone 5? Answer: The device will be available starting from April 2018. The device will be a great choice in the mid-range smartphone market and will give a great competition to its rivals. The refreshed design is one of the reasons to consider this smartphone over other smartphones in the same price range. The smartphone will be available in two colors – Meteor Silver and Midnight Blue and it will reach the markets in April 2018.